With 1.19 billion users ranging from preteens to grandmas, Facebook is the undeniable king of the social networks. 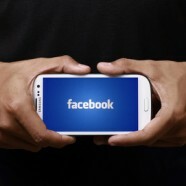 Facebook recently introduced Facebook at Work as a way to increase consumer engagement and acquire even more data by offering companies the opportunity to create their own Facebooks. They are headed towards becoming the next corporate social network giant, but is Facebook really ready to put on a suit and tie and enter the workforce? Aimed towards millennial whose lives are already embedded within social networks, users could link their personal and work accounts creating one simultaneous newsfeed. While corporate social networks are gaining popularity, none of them have been able to completely bridge the communication gap between employees and employers. Facebook at Work would encourage positive workplace interactions while also creating a sense of connectedness. Ideally employees would feel empowered to ask questions openly, regardless of their position, enhancing the overall decision-making process. One of the major issues with previous software is the interface; usually, the software is so dramatically different from everything else employees are interacting with that it becomes a burden to use regularly. This burden relief is possibly Facebook’s greatest asset in compelling businesses to share their data and use the new network. Ironically, the social network’s biggest problem is the exact the same issue: people don’t trust Facebook with their personal information, so why should they trust it with susceptible corporate data? Although it assures companies that all user activity would be kept separate, the potential for disaster is inescapable. Another problem in trusting in Facebook goes beyond protecting corporate information but also in employee productivity. Countless offices currently have a ban on Facebook; can Facebook turn this negative attitude around with Facebook at Work and shed the view that it’s a place where people mindlessly lose hours of their daily lives and information is easily and often accidentally shared? In 2011, an American Red Cross employee mixed up her accounts when she posted about getting drunk on Dogfish Head’s Midas Touch beer on the Red Cross Twitter page, not the greatest public relations move. The employee quickly apologized and admitted her unfamiliarity with the Red Cross’s social media management software. Luckily, Red Cross was able to turn the mistake into a social media campaign that generated donations. Mixing up accounts is a likely risk for any person who would have a Facebook at work account as well as a personal Facebook account. The Internet is already covered with stories of employees getting fired for compromising social media posts, and this can only be expected to increase. But, if any company can successfully create a social media site for the workplace that people actually want to use, it’s Facebook. Its advanced knowledge behind the psychology of social networking at the very least makes them qualified enough to make the attempt. Jestelle is a junior executive at SJG. She is currently working toward obtaining a BA in Advertising and Public Relations and a minor in Marketing from Loyola University Chicago. Outside the office, Jestelle is an avid tea drinker and devoted Netflix watcher.